We had a fun, faith filled week with over 200 kids and 150 teen volunteers. Thank you to everyone who participated and helped make it such a success. 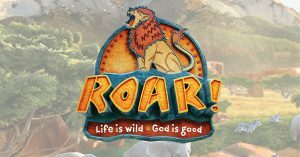 Thank you for your interest in Holy Trinity’s VBS (Vacation Bible School). We look forward to a wonderful week filled with games, Bible stories, crafts, science experiments, food and fun! Children who will be entering Kindergarten thru 5th grade in the Fall, will rotate through the stations each day with a Crew Leader and Jr. Crew Leader as their guides. Young people entering grades 6 – 12 can sign up to volunteer for the week as Station Helpers, Crew Leaders and Jr. Crew Leaders. Adult helpers are also invited to participate!